Chinoiresie | Gongyou: The New Dangerous Class in China? 02 Oct Gongyou: The New Dangerous Class in China? After four decades of rural-to-urban migration, the class identity of more than 280 million rural migrant workers in China remains ambiguous. Many scholars have attempted to capture the transformation of their identity from ‘peasants’ to ‘workers’ by resorting to such labels as ‘new industrial workers’ (xin chanye gongren), ‘semi-proletariat’, ‘full proletariat’, ‘precarious proletariat’ (buwending wuchanzhe), and even ‘Chinese new workers’ (zhongguo xin gongren) (Lee 2007; Lü 2012 and 2014; Pun and Chan 2008; Pun and Lu 2010; Smith and Pun 2017; Standing 2016; Swider 2015; Woronov 2016; Xie 2005; Yang 2010). Drawing on semi-structured interviews with 164 rural migrant workers in six high-tech processing and assembly manufacturing factories in Chongqing and Shenzhen conducted between 2014 and 2016, in this essay I contribute to this debate by discussing how rural migrant workers I have encountered during fieldwork in China describe and identify themselves. In particular, I examine a new identity—framed as gongyou, or ‘workmate’—that is developing among the new generation of migrant workers in China. I argue that organically forming identities such as this one have the potential to transcend divisions of gender, industry, and geographic area, and could thus provide a means of challenging the state and capital going forward. The term gongyou is widely used by migrant workers in the manufacturing, construction, and service sectors in both Chongqing and Shenzhen. In Chinese-English dictionaries, gongyou is usually translated as ‘maintenance worker’, ‘workmate’, ‘factory worker’, ‘workfellow’, or ‘working partner’. The fact that migrant workers in labour-intensive industries with precarious employment and limited social security refer to themselves as gongyou instead of using the official designation nongmingong (literally, ‘peasant-worker’)—a term that often carries derogatory connotations—indicates a willingness to challenge the official discourse, and suggests the development of a new type of collective identity. While this self-identification is common in both Chongqing and Shenzhen, the term gongyou can also be found among different types of rural migrants with precarious jobs elsewhere in urban China. Interestingly, this gongyou identity does not include what is traditionally considered the Chinese proletariat, i.e. those workers who enjoy stable employment and social security in state-owned enterprises. Although Hurst (2016) has pointed out that, since 2008, China’s fragmented working class has shown increasing solidarity, those identifying as gongyou remain nonetheless detached and differentiated from the traditional working class by the precarity of their employment. The gongyou identity, therefore, is distinguished by its rural origins, and should not be seen as forming an integrated class with the traditionally secure urban proletariat, nor with the whole spectrum of the insecure precariat with formal rights to the city—including, for instance, members of the urban middle class and urban laid-off workers. From this point of view, the household registration system (hukou) still constitutes a formidable obstacle to the development of a unitary class consciousness among Chinese workers at large. However, in spite of these barriers, my fieldwork suggests that the gongyou discourse seems to be emerging as a unifying factor for those precarious rural migrants, numbering in the hundreds of millions, who constitute one of the main groups within the precariat in China. As Owen et al. (2010, 478) have suggested, ‘identities that guide social action can come from role relationships, affiliation within social groups, identification with social categories, or personal narratives.’ According to them, class consciousness is also primarily based on individual identity and group membership-based identity, which stem from individuals themselves, and the group as a whole (Owen et al. 2010, 479). In other words, collective identities are an important catalyst to form class consciousness. In this sense, the fact that most precarious rural migrant factory workers that I spoke with in both Chongqing and Shenzhen refer to themselves and their colleagues as gongyou, indicates that there is potential for the future development of a unified class identity. There is no English or Chinese study that focusses specifically on the gongyou identity and discourse. The term has been used in Chinese literature since the 1920s. For instance, writer Ye Shengtao in his novel Zai minjian (Among the People) referred to factory labourers as gongyou (Ye 1925). Lu Xun also used the term in his essay Zai zhonglou shang (‘On the Clock Tower’), this time with a more specific meaning of handymen or manual workers, such as janitors and cleaners, in schools and other public institutions (Lu 1927). Another famous Chinese writer, Yang Shuo, also used gongyou specifically to refer to railway construction workers in his work of prose Yalujiang nanbei (North and South of the Yalu River) (Yang 1950). However, in spite of this widespread diffusion in Republican China, gongyou lost currency during the Maoist period, dying out in the 1950s. It was not revived until the 2000s when rural migrant workers seem to have taken up the term gongyou due to its neutral connotation, preferring it to the derogatory nongmingong.The term nongmingong has thus gradually been replaced by gongyou and other terms even in official state discourse. For instance, the Hubei Federation of Trade Unions and the Shandong Federation of Trade Unions respectively launched a Gongyou Magazine (gongyou zazhi) and a ‘Gongyou Action to Start a Business’ (gongyou chuangye xingdong) (SFTU 2006). These branches of the official trade union have recognised the use of the term gongyou to refer to blue-collar workers, especially rural migrants in the mining, construction, manufacturing, and service industries. Civil society has also played a role in reviving the gongyou discourse. Since the early 2000s, several labour NGOs in China have begun calling rural migrants in different industrial sectors gongyou while helping them to pursue legal rights and labour protections. According to my interviews, these organisations have taken up the gongyou discourse, and even included the term in their names, in order to create a common identity among migrant workers and boost a sense of belonging. Examples include the Beijing Workers’ Home (beijing gongyou zhijia) and the Pearl River Gongyou Service Centre (zhujiang gongyou fuwu zhongxin). A member of the research staff from the Beijing Workers’ Home has even written two books about the ‘Chinese new workers’ (zhongguo xin gongren), outlining the working and living conditions of rural migrant workers in different cities, including Chongqing, Shenzhen, Suzhou, and Dongguan (Lü 2012 and 2014). According to her research, rural migrant workers identify and call themselves and their colleagues gongyou as a means of asserting a collective identity. Both the male and female rural migrant workers whom I interviewed in the high-tech sector in Chongqing and Shenzhen commonly refer to themselves and their colleagues as gongyou, explaining the meaning of the word in terms similar to those that can be found in Chinese literature from the 1920s. More specifically, all 82 rural migrants whom I interviewed in Shenzhen called themselves gongyou. In Chongqing, over 80 percent of my 82 interviewees used the term. When they transfer between different industries, these migrants maintain the name and identity of gongyou, indicating the potential for widespread diffusion due to the high levels of worker mobility. Wang and Wang’s research (2013) on the living and working conditions of the new generation of rural migrants in Shenzhen suggests that rural migrants tend to belong to a similar social stratum, united by their rural hukou or by their village backgrounds and customs. Due to these circumstances, they more easily forge a common identity based on closed and fixed social networks (Wang and Wang 2013, 64). Over 90 percent of the rural migrant workers I interviewed feel that the gongyou term builds a sense of closeness and solidarity. Most of them believe that, as members of the gongyou group, together they can help each other when labour disputes occur, because they share a common identity. Considering how often these workers change jobs, and even industries, this self-identification as gongyou is clearly not linked solely to manufacturing or factory work. In fact, this identity goes well beyond the high-tech sector and appears to be linked to the core features of the ‘precariat’, such as the precarity of employment and low wages, which binds them together as a potential ‘class in the making’. Extending beyond boundaries of gender and industry, the gongyou identity spreads beyond one single geographical area. As stated above, my research finds that the use of the term gongyou is significant for rural migrants in both Chongqing and Shenzhen. Although rural migrants in Shenzhen use the term more actively and spontaneously, those in Chongqing report having been influenced by interactions with their colleagues who have previously worked in Shenzhen, indicating direct identity transfer and diffusion. A typical case was that of a 28-year-old migrant woman from rural Chongqing, who worked in a high-tech manufacturing factory called Pegatron in the Liangjiang New Area. She explained that she had worked in Foxconn Shenzhen for four years before returning to Chongqing. She spontaneously called her colleagues gongyou, exactly as she had called her previous colleagues in Shenzhen. After working in Chongqing for four months, she reported that many of her colleagues had begun to call themselves and others gongyou too. She did not want to identify herself as nongmingong, because this term made her feel like a subordinate citizen, a symbol of backwardness. Forming a Dangerous Gongyou Class? While the household registration system remains one of the main barriers to the formation of the precariat as a ‘class for itself’, the gongyou identity represents a social status specifically embraced by migrant workers engaged in urban industries. The use of this term among this group is also an empirical example of the emergence of a nascent collective class consciousness in an important segment of the Chinese precariat. That many new-generation migrant workers in Shenzhen spontaneously express their collective identity by organising members of the gongyou group together to protect their legitimate labour rights can be regarded as a potential signal of a rising collective class consciousness facilitating future class struggles in high-tech manufacturing in China. 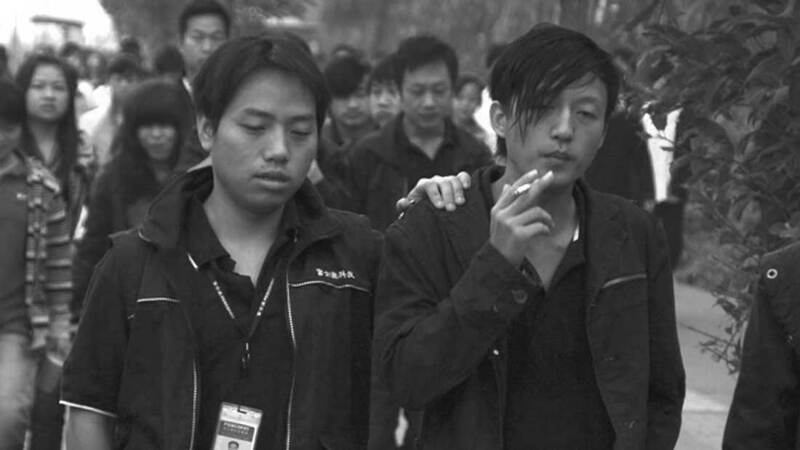 The Nanhai Honda strike in Foshan of 2010 is an example of a successful class struggle between rural migrants identifying as gongyou and factory owners. It was an important event for rural migrants pursuing their own labour protections in terms of increasing their basic salaries in Guangdong province, and at that time it deeply influenced the struggles of other rural migrants for higher wages and better labour protections across different factories, industries, and regions (Friedman 2012; Lau and Choi 2010). According to Chinese labour NGO and media reports, the striking Honda workers called each other gongyou, a fact that highlights the importance of this identity for the ensuing worker mobilisation (China Labour Bulletin 2010; China News Weekly 2010; The Economic Observer 2010). Since then, strikes have been widespread in various industries (see Crothall’s essay in the present issue). From an analysis of news reports, it can be seen that the gongyou identity has contributed to solidarity in mobilisations. This type of cross-sector, cross-region identity formation has the potential to present a significant challenge to both the state and capitalists in China. Through their increasing willingness to undertake collective action in order to seek more stable employment and better working conditions, these precarious workers may play an important role in shaping the future direction of Chinese society. As those taking on collective identities with their fellow workers—such as the gongyou identity—grow larger in number, their voices will be increasingly hard to ignore. This article was originally published in Made in China, issue 2, 2018. Photo: Jordan Pouille. China Labour Bulletin. 2010. “Bentian gongren bagong yaoqiu tigao jiben gongzi [Honda Workers Go on Strike and Request to Increase Basic Salary].” China Labour Bulletin, 19 November. http://www.clb.org.hk/content/本田工人罢工要求提高基本工资. China News Weekly. 2010. “Nanhai bentian fugong gongren qude jubuxing shengli [Workers of Nanhai Honda Return to Work: Workers Have Achieved Part of Success].” China News Weekly, 3 June. http://style.sina.com.cn/news/2010-06-03/094562469.shtml. Friedman, Eli. 2012. “China in Revolt.” Jacobin, 8 January. https://www.jacobinmag.com/2012/08/china-in-revolt. Hurst, William. 2017. “The Chinese Working Class: Made, Unmade, In Itself, For Itself, or None of the Above?” In Made in China Yearbook 2016: Disturbances in Heaven, edited by Ivan Franceschini, Kevin Lin, and Nicholas Loubere, 16–19. Canberra: ANU Press. Lau, Mimi, and Will Clem. 2010. “Hundreds Clash as Labour Strife Widens.” South China Morning Post, 9 June. https://www.scmp.com/article/716586/hundreds-clash-labour-strife-widens. Lee, Ching Kwan. 2007. Against the Law: Labour Protests in China’s Rustbelt and Sunbelt. Berkeley: University of California Press. Lu, Xun. 1927. Zai Zhonglou Shang [On the Clock Tower]. https://www.marxists.org/chinese/reference-books/luxun/12/033.htm. Lü, Tu. 2013. Zhongguo xingongren: mishi yu jueqi [Chinese New Workers: Lost and Rise]. Beijing: Legal Publishing House. Lü, Tu. 2015. Zhongguo xingongren: wenhua yu mingyun [Chinese New Workers: Culture and Destiny]. Beijing: Legal Publishing House. New Taipei City Government. 2014. “Xinbei shizhengfu gongyou gongzuo guize [New Taipei City Government on Workers’ Working Regulations].” New Taipei City Government Secretariat, 26 May. 新北市政府工友工作規則 (103/05/26修訂))(PDF格式). Owens, Timothy J., Dawn T. Robinson, and Lynn Smith-Lovin. 2010. “Three Faces of Identity.” Annual Review of Sociology 36: 477–499. Pun, Ngai, and Chris King-Chi Chan. 2008. “The Subsumption of Class Discourse in China.” Boundary 2 35, no. 2: 75–91. Pun, Ngai, and Huilin Lu. 2010. “Unfinished Proletarianisation: Self, Anger, and Class Action among the Second Generation of Peasant-workers in Present-day China.” Modern China 36, no. 5: 493–519. SFTU (Shandong Federation of Trade Unions). 2006. “Shandongsheng zonggonghui guanyu gongyou chuangye xingdong de shishi yijian [Shandong Federation of Trade Unions about the Opinions of Implementation of Workers’ Actions of Entrepreneurship].” Jining Trade Union Federation, 29 May. http://www.jngh.org/a/bangfubaozhang/ghjy/2013/0529/1422.html. Smith, Chris, and Ngai Pun. 2017. “Class and Precarity in China: A Contested Relationship.” In Made in China Yearbook 2017: Gilded Age, edited by Ivan Franceschini and Nicholas Loubere, 44–47. Canberra: ANU Press. Standing, Guy. 2016. “The Precariat, Class and Progressive Politics: A Response.” Global Labour Journal 7, no. 2: 189–200. Swider, Sarah. 2015. Building China: Informal Work and the New Precariat. New York: Cornell University Press. The Economic Observer. 2010. “‘Bagong’ you name kepa, kezeng ma? [Is the Strike so Horrible and Hateful? ].” The Economic Observer, 1 July. http://www.eeo.com.cn/observer/shijiao/2010/07/01/174266.shtml. Wang, Tongxin, and Hongli Wang. 2013. “Shenzhen xinshengdai nongmingong de zongti zhuangkuang [Shenzhen New-generation Rural Migrant Workers’ General Situations].” In Shenzhen xinshengdai nongmingong diaocha baogao, edited by Tongxin Wang and Yujuan Zhai, 34–68. Beijing: China Legal Publishing House. Woronov, Terry. 2015. Class Work: Vocational Schools and China’s Urban Youth. Stanford, CA: Stanford University Press. Xie, Jianshe. 2005. Xinchanye gongren jieceng: shehui zhuanxingzhong de nongmingong [New Industrial Workers: Rural Migrant Workers within Social Transformation]. Beijing: Social Sciences Academic Press. Yang, Chunhua. 2010. “On the Issue of the New Generation of Migrant Workers.” Issues in Agricultural Economy 4: 80–84. Yang, Shuo. 1950. Yalujiang nanbei [North and South of the Yalu River]. http://www.people.com.cn/GB/channel1/10/20001010/265308.html. Ye, Shengtao. 1925. Zai minjian [Among the People]. http://www.zgwxmz.com/m/xiandaiwenxue/051010052016/1017.html. Yu Chunsen is an early-career researcher, studying rural migrants’ employment and social security within the Chinese hi-tech processing and assembly manufacturing industry in Chongqing and Shenzhen. He was awarded a PhD in Chinese Studies Research and an MA both from King’s College London in the United Kingdom.